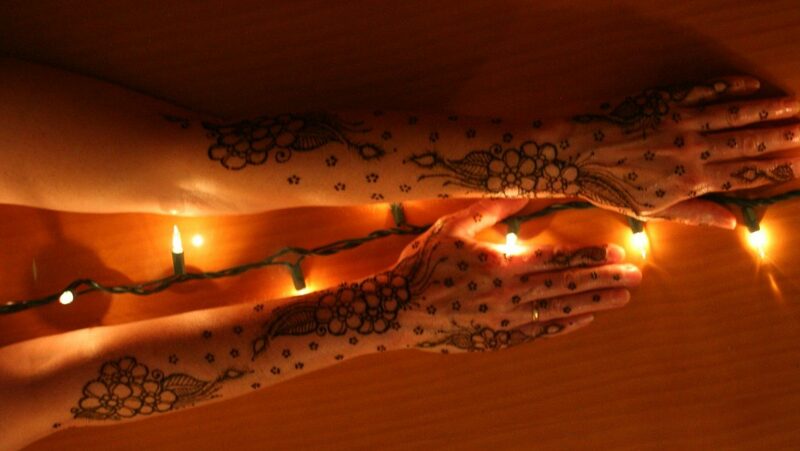 (well a few weeks at least) with beautiful mehndi designs. It was believed to help bring about an easy birth and healthy child. 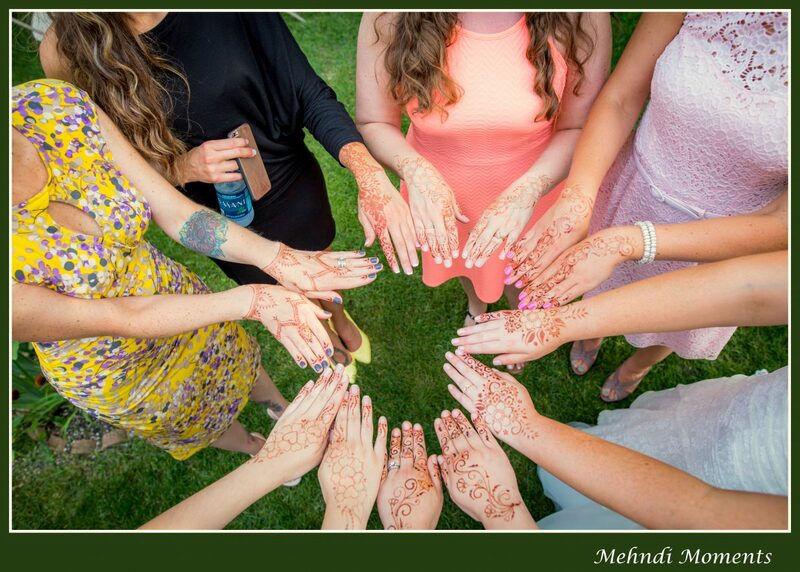 Mehndi Moments can travel to your location! 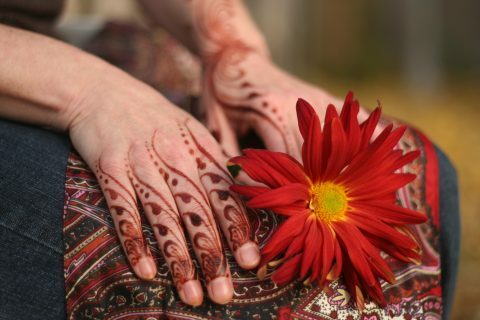 Henna is a plant with natural staining capabilities. Mixed with tea tree oil, lemon juice, and fructose, the henna paste is piped onto the top of your skin, and leaves behind a temporary stain. The color will be a light orange at first and darken to a richer shade of brown over three days. Henna is NEVER black! Designs usually last between one to two weeks depending on many factors. 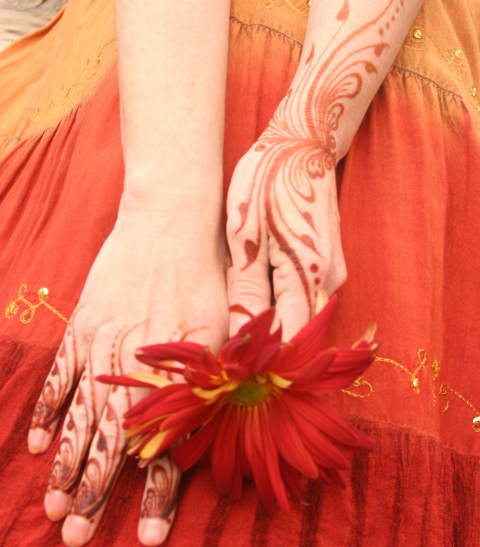 Your Mehndi Moments henna artist will provide you with tips on how to get the best stain possible! Mehndi Moments can travel to your location! All designs are free hand, and vary from traditional to contemporary styles, suiting your particular preferences. 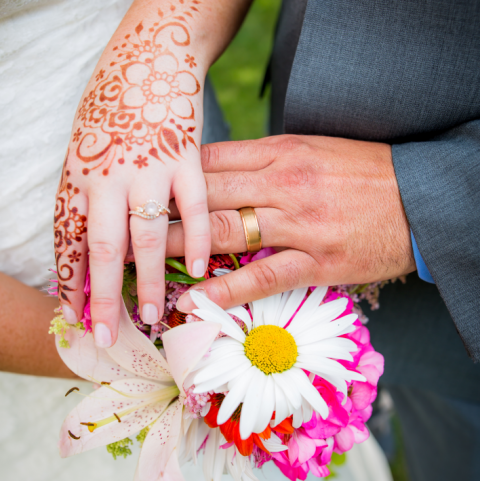 Mehndi Moments can provide fantastic and fast henna at large events, providing one (myself) or many henna artists depending on your needs. 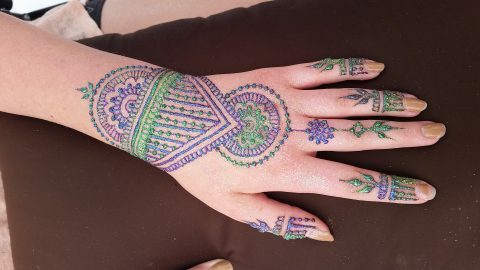 I provide my own henna tent for outdoor events, or can bring the smaller indoor set up. The artists I bring with me are used to handling large crowds, and each artist can provide 15-20 small to meduim designs an hour! 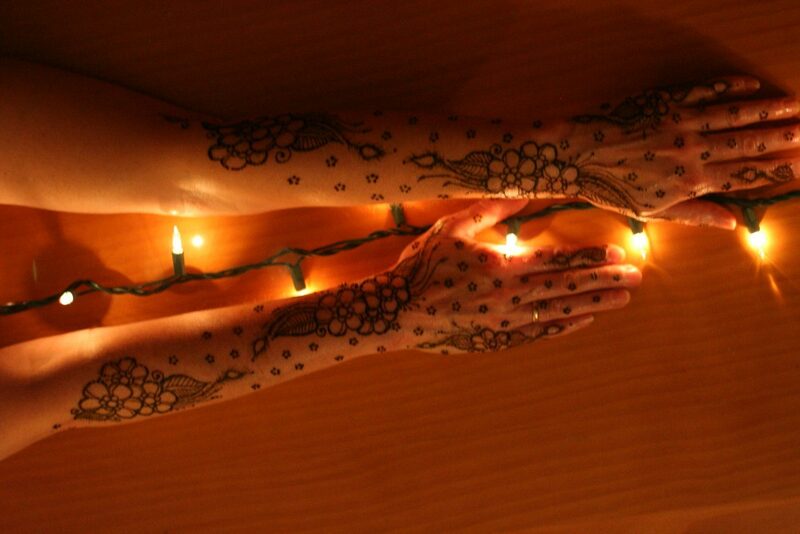 includes a free 30 minute consultation and small trial henna. 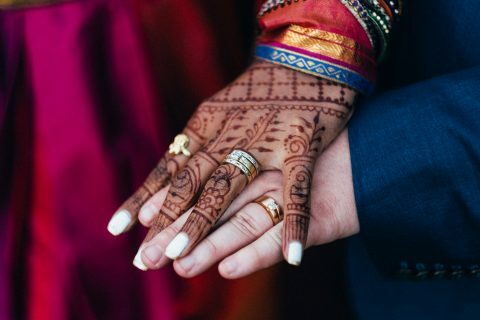 Please book your consultation appointment AT LEAST a month in advance of your wedding to ensure artist availabilty and so your trial henna has time to wear off before your bridal henna appointment! For clients with Alopecia, or who’ve lost hair or breasts due to cancer, I have a flat rate of $80. 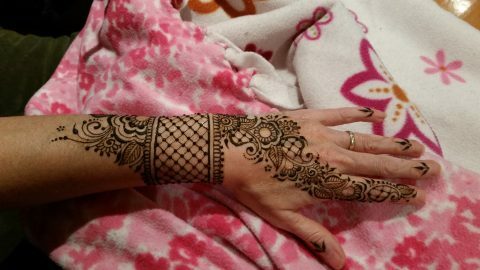 Whether you want henna to adorn your head or your chest, I would be happy to help create a custom design that empowers you. Receiving henna during pregnancy is an ancient practice. It was believed to help bring about an easy birth and healthy child. I’ll work with you to create a custom design full of meaning and symbolism. 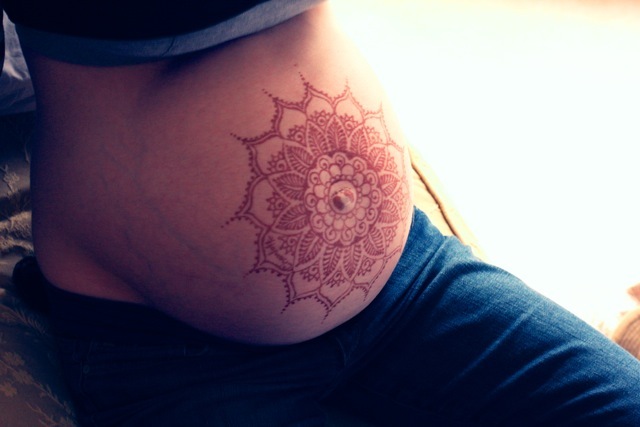 Prenatal henna generally costs $90. If you want to try out a tattoo design, desire a day of indulgence, or wish to provide a gift to someone special, individual appointments are the perfect venue! You can share your individual appointment with one friend depending on the designs you choose! Individual appointments start at $80 an hour. 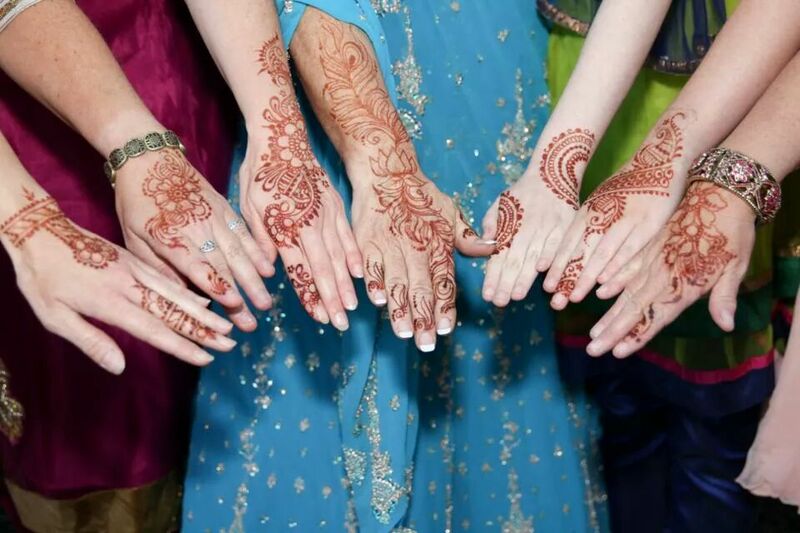 Whether you are planning a birthday party, girls night in, bachelorette party, baby shower, or religious celebration, a Mehndi Moments private party can be affordable whether you pay for the whole event or split the cost among friends! Parties are $100 an hour. I’m sorry I didn’t see you before I left. I want to thank you for the wonderful job you guys did. Everyone loved it! I especially love mine. I hope to see you somewhere in the future. Amazing amazing work!!! 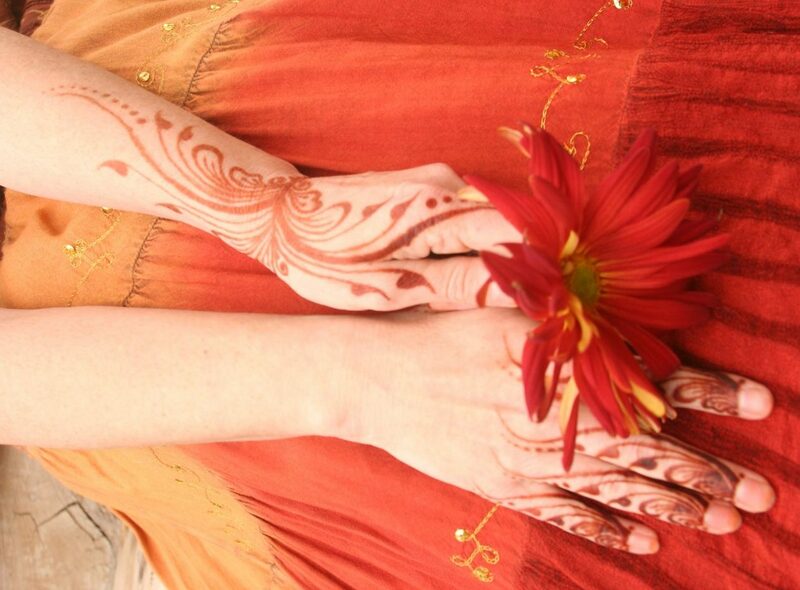 Mehndi Moments was very professional and talented. Everyone loved getting henna tattoos. I’m very happy I hired her for my wedding. I highly recommend you hire her for your next event! !